PLF version. Made to be worn at The March For Our Lives on March 24, 2018. You can order either a right-hand glove, a left-hand glove, or a set. Also, you can order either an acrylic or cotton eye applique that will be hand sewn to the front (top of hand), palm, or both. Prices vary with options chosen. 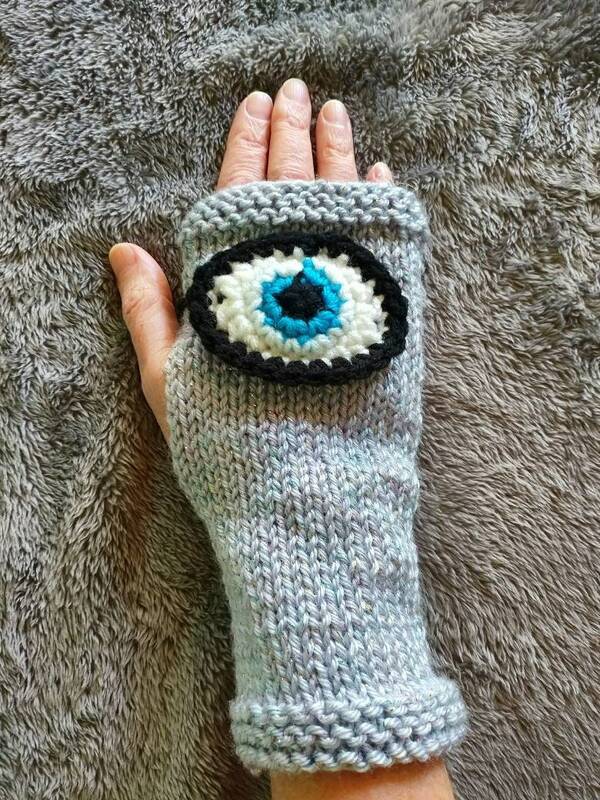 Can wear them front or back - fabulous slightly glittery grey yarn and the eyes really pop! Thank you! 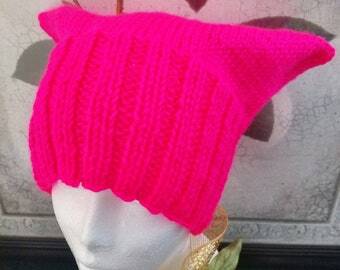 This unique hand-knitted item captured my attention immediately! I ordered them for my sister Susan, who lives in Boston. She was surprised to receive them, and immediately fell in love with them. She said that they are well made, soft and pretty. I was impressed with how quickly these hand-made gloves were made. The lady who makes these gloves is a devoted knitter who aims to delight and please!